VoIP is, or Voice over Internet Protocol, a new form of digital telephone service in which calls are sent and received over the Internet. 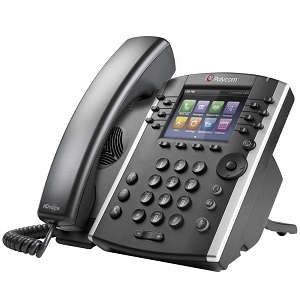 To utilize Voice over IP phone systems, all users need is a high speed Internet connection and a VoIP phone service provider. VoIP service providers offer many highly advanced, next generation calling, texting, video, and conferencing features. Often these features are included, and are valuable assets every step of the way throughout your specific communication needs. Traditionally, many of the calling features now included with VoIP phone services were exercised by a human being operating a switchboard. Directing call traffic appropriately is vital to the success of any business. With Voice Over IP solutions, many of them are customizable to put your business at the pinnacle of efficiency and professionalism. Network features are designed to make sure your business never misses a beat – keeping your infrastructure at the tip of your fingers at all times. 1. Get Lower Monthly Rates/Fees – Low prices are due to the fact that VoIP technology is built upon the infrastructure of your existing internet service, and because voice data is much cheaper to send over the internet compared to landlines. 2. Get All Inclusive Calling Plans with Unlimited Local & Long Distance – With VoIP, every call is a local call. Most plans will offer all inclusive calling for a flat price, which is still much less than the cost of a landline phone. 3. Free Premium Features You Never Have To Pay For – VoIP includes features that are not available with landlines such as: voicemail transcriptions, auto-attendants, HD Voice & Video, E911, unified communications, and more. These features come standard with all VoIP plans. 4. Immediate Flexibility &Scalability – VoIP eliminates your costs on unused services. These companies offer specialized plans tailored to your specific needs, allowing users to make changes on the go, making it easier for business to scale. Interested in switching to PBXstore? Call 631.567.2300 to receive a customized quote detailing the benefits of utilizing our innovative products and services. When you’re ready, we’ll install your new phone system with ZERO downtime, so you can get back to business.